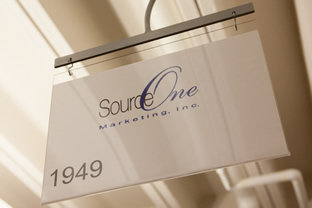 Source One Marketing, Inc. is a professional sales organization with a showroom located in the Dallas Trade Mart. Our sales team works with all classes of trade and has an excellent understanding of our vendors and customer’s needs. Source One Marketing has the knowledge, experience, personal contacts and most importantly the working rapport with major and independent accounts in the territory. The results…impressive sales, market development and vendor penetration that continues to grow year after year. The combination of Source One's sales force and product expertise, along with our vendor’s quality products, makes us the most effective and dynamic rep organization in the territory. We strive every day to be recognized in the market place as the best.